Over years guiding adventure tours and managing small and large group tour companies, co-founders Steve Wilson and Katy Shorthouse worked out that small is better – more fun, more flexible, and more personal, for both guests and workers. 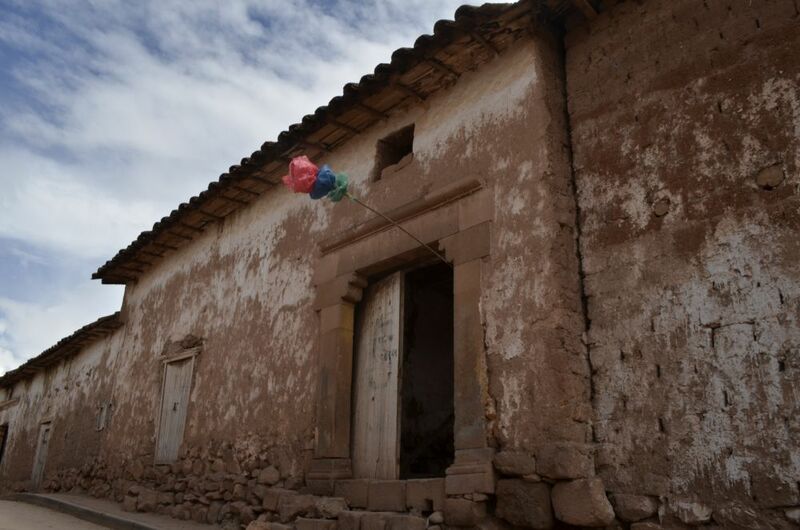 This shared conviction was the foundation stone of Aspiring Adventures when it began in Peru in 2009. Steve takes care of communication and planning. He’s our big picture man. Aspiring Adventures started as a dream of Steve’s. Katy is our operations machine. No idea is too big, and no detail is too small. Her superpower is turning dreams into reality. Maylí, our import from the “real world” of Peru's big airlines and group tour companies, brings calm, caring professionalism and impressive negotiation skills (as well as an ability to walk in high heels that was previously unknown to Aspiring Adventures) to the varied, complex job that is overseeing our Peru operation. From the biggest picture to the smallest detail, Maylí’s on top of it. 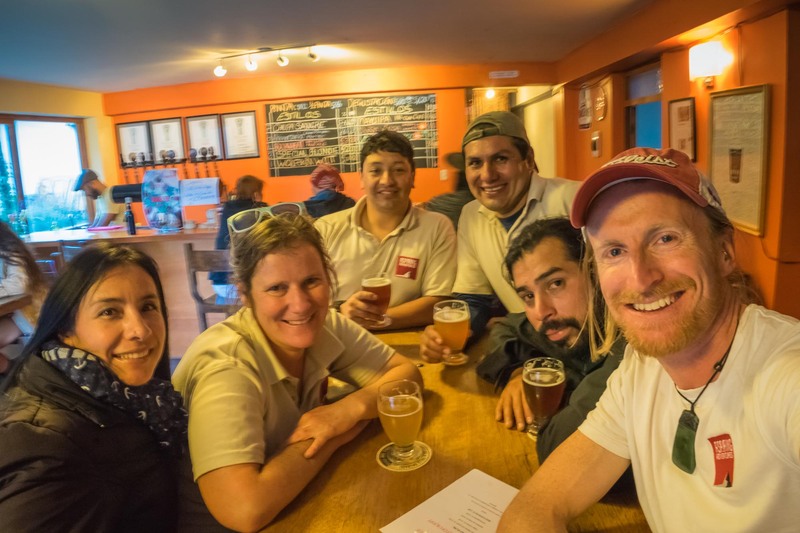 Katy and Steve have known Wilhen since 2007, and he’s the perfect fit for the responsible, growing role of overseeing all the equipment and logistics involved in our biking and camping trips. Wilhen also guides many of our bike trips, frustrating his parents’ long-held and ever-more futile dream of his becoming a dentist. 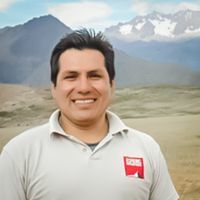 Working with us since 2012, Luis has a thirst for knowledge and takes every course on offer, in areas as diverse as archaeology, rainforest conservation, anthropology and community tourism. 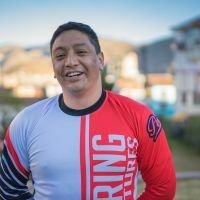 He has a passion for Peruvian popular culture, participating as a dancer in Inti Raymi and wowing our guests with his ability to explain arcane details of costume, history and ritual at the cultural events we attend. 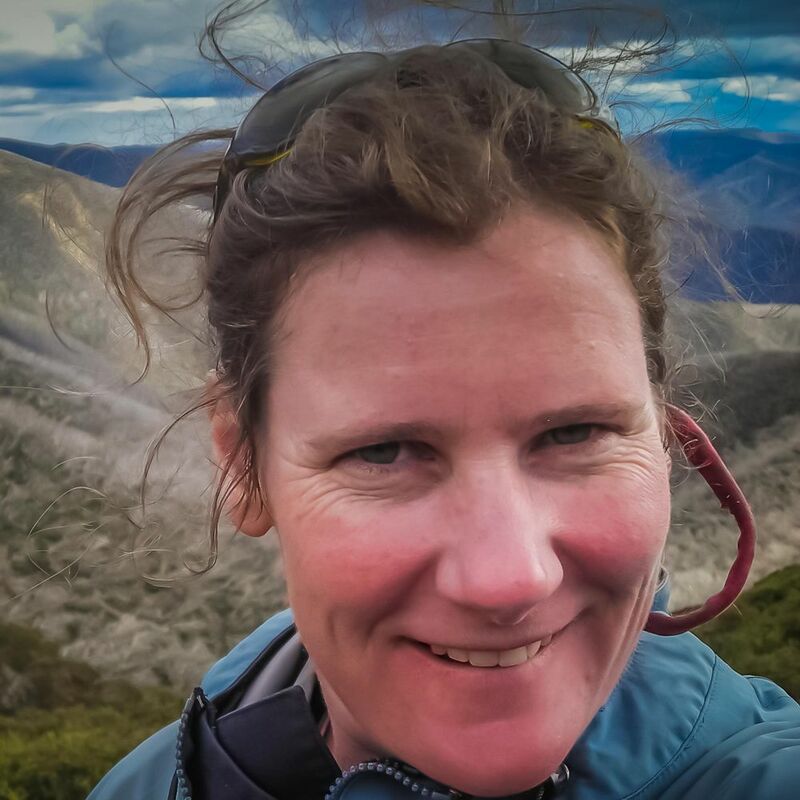 Sally grew up in Tarma in rural Peru and now lives in Lima. She first met Katy and Steve back in 2007 and we’re very happy to have her on the Aspiring team! 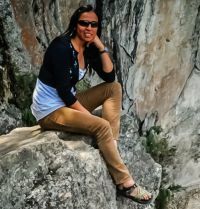 Sally is a humble, patient and informative guide, with a deep passion for Peruvian culture. 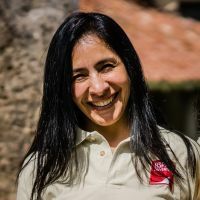 She loves hiking, and has a particular affinity with the Peruvian jungle having spent a few years living and working in the Rio Tambopata area. Aldo and Katy met when they were both in their first season guiding the Inca Trail, in 2004. He’s been with Aspiring since 2012. 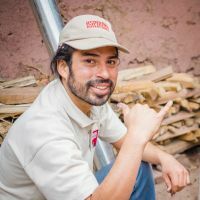 Born and raised in the steamy jungle town of Quillabamba, Aldo moved to Cusco to study to be a guide and has been based here ever since. 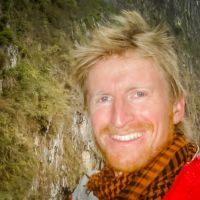 For many years a trekking specialist, he’s now in high demand on our family trips where he wins hearts and minds with his endless patience and knowledge of Peru, and his football skills. I grew up in rural New Zealand. I’ve been working in adventure tourism since 2001, soon after returning from my first overseas experience. I had every intention of being a geologist but that trip - throwing myself into another place and culture - changed me and I’m thankful for it. Ever since then I’ve been all about personal growth through travel, and sharing that growth with others. I find that setting a big goal two years in advance focuses my energy on making it happen (or at least giving it my best shot!). I return to this page often to see my aspirations written down and I love the satisfaction of ticking them off! Leaving past years on the list is a way of making myself accountable. I recommend starting a list like this to help you achieve your aspirations in life! To celebrate the 10 year anniversary of Aspiring Adventures I plan to summit the very mountain our company derives its name from. I'm scared just thinking about this aspiration! 40, yikes! Well, the great thing about reaching the top of the hill is that the ride down is always the best part right? Right..? My two friends and I rode 13,000km around the Black Sea, through 16 countries in seven weeks. It was the most epic adventure I've ever undertaken. Tick! At 18 months old, Ila had her first overnight camping trip experience in Naseby, New Zealand on 17 December, 2015 – and she loved it! Travelled around Latvia (48), Estonia (49) and Finland – my 50th country visited in my life – yay! Almost made it to the top of Chimborazo, Ecuador’s highest mountain at 6,268 metres, turned around at about 6,050 metres, due to altitude sickness. Close but no cigar! Got my PG1 and PG2 licences and love to paraglide in my spare time! I grew up in Australia. My love affair with travel began in 1996 when I set off for two years of backpacking through South America and Europe. The next turning point came in 2001 when I abandoned a career in journalism and became a hiking guide in Tasmania, Australia. By 2004 I was guiding adventure tours in Peru, Ecuador, Costa Rica, and Chile, and in 2010 I authored the Lonely Planet guidebook to Peru. Nepal has been on my dream list for years and it's time to finally make it happen now that Nina is old enough to tackle a trek in the mountains with me. Can't wait! My brother and his family live there and I’ve never been to South East Asia – so a couple of months is the minimum really! My aversion to debt has put me years behind most of my friends on this one, but I’m told it’s time I get with the program. Three families, four small children, three weeks, four beaches, one river, many beers and countless ceviches - a dream come true! I started dabbling in meditation in September 2014, delved deeper in 2015, and these days, all I can say is...ommmmm! One of Nina and my best times ever together. Glad I did this while she was still relatively light! Yay! So happy to be biking again... no hang on, I've lost my nerve! Help!